For some special topics, KGNU Boulder/Denver (kgnu.org) will conduct a live, 1-hour call-in show with an experienced call-in show host and experts from the community. Sometimes, those experts can include students! Often, a call-in show will be the grand finale of a student project that has included many short features, with students help creating them. Eat Your Radio’s Hot Lunch Versus Cold Lunch series is an example of several short radio features about students and school lunch, that ended with a grand finale of a call-in show. Contact news@kgnu.org if you have ideas for a call-in show on a health topic about children. If someone in your class is selected by KGNU to be on a live call-in show, the rest of your class can listen in to the call-in show and also phone in with comments. You can do “practice call-in shows” by doing a field trip to the KGNU studios in Boulder or in Denver. Or you can even do a practice call-in show in your class. Call us at KGNU if you’d like to try this sometime. Call-in Shows can be about other topics, in addition to food. 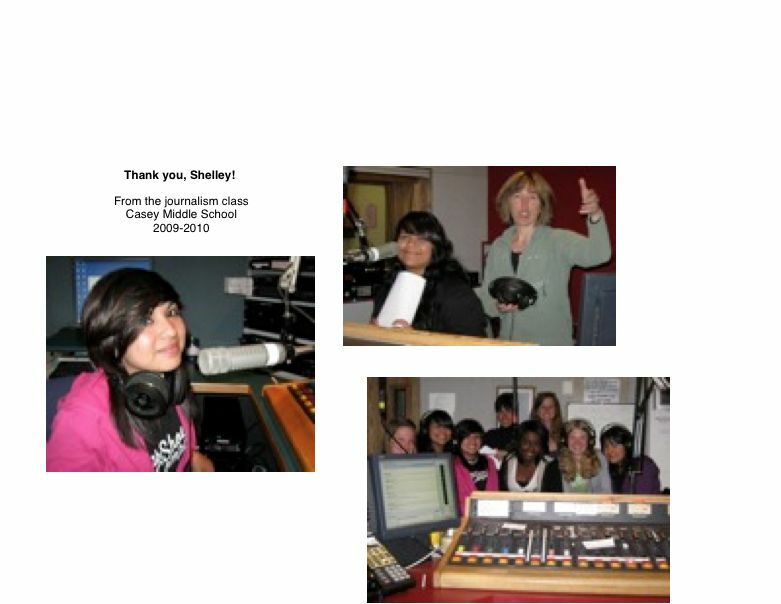 For instance, KGNU broadcast a special series about middle schools and teen pregnancy. For that special series, students carried on many of the roles of being the call-in show hosts. It took lots of practice, and it took a written script. Contact KGNU is you’d like to have a call-in show on a special topic.